Obituary for Margaret "Maggie" Anne (Moorer) Malkus | Thomas Funeral Home P.A. 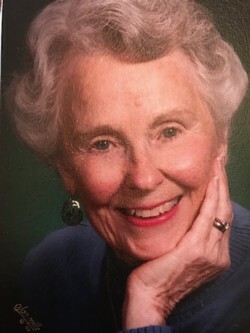 Margaret Anne Malkus, 88, of Cambridge passed away on Thursday, November 29, 2018 after heart complications at her home in Cambridge, MD. She was born in Summerville, SC on August 20, 1930, the daughter of Thaddeus and Tommie Sue Hardin Moorer, and twin sister to Betty Jane Dillon of Mount Pleasant, SC. Maggie graduated from Summerville High School in 1947 and from Winthrop College in 1951. She moved from South Carolina to Cambridge, MD in 1954 with Pat (Horton) Hopkins to teach physical education in Dorchester County. Maggie taught and coached all girls’ sports for Cambridge High School from 1954 to 1959. On August 9, 1958, she married Senator Frederick C. Malkus Jr. who preceded her in death in 1999. She was an active member of St. Paul’s United Methodist Church (Gleaners class) in Cambridge, an active member of the Daughters of the American Revolution, and a board member of the Channel Markers, the Waddell Foundation, and the Naval Academy Selection Board. She also organized the home tours of the Dorchester County Historical Society. She was an avid hunter and marksman and enjoyed all recreational sports including swimming, tennis and basketball. She retained her association with the VFW, Elks, and the American Legion following her husband’s death. She is most often remembered as the “Southern Lady” with a kind word for all students she taught and a special fondness for women’s sports. She is survived by daughter Margaret Elizabeth (Betsy) Malkus of Cambridge, son Frederick Charles Malkus, III, of Odenton, MD, and daughter Susan Malkus Brown (husband Phil Brown) of Fairfax, VA. Additionally, she is survived by grandson Richard C. LaPerch, II (wife Jess and children Connor Hayden, Olivia and Jocelynne LaPerch), and granddaughters Katherine and Madeline Brown. The family will receive visitors at St. Paul’s United Methodist Church on Wednesday, December 5 at 11:30, followed by the funeral service at 1:00. Interment will follow at Old Trinity Episcopal Church immediately following the funeral. Memorial contributions to St. Paul’s United Methodist Church General Fund are appreciated. Funeral services provided by Thomas Funeral Home in Cambridge, MD. Pall bearers are Fred Malkus, Carl Malkus, William Malkus, Milton Malkus III, Patrick Malkus, Richard LaPerch, Phil Brown, Tommy Spicer, and Connor Hayden. Honorary pall bearers are Milton Malkus, Jr., Keith Malkus, Allen Willey and Chem Albites.